Ever Vape a new brand of e-liquid for the Electronic Cigarette. Ever Vape proposes a range of e-liquids for vapers who vape in rhythm with simplicity, quality and honnesty. The Ever Vape E-liquids are made with healthy ingredients for vaping in complete serenity. The Ever Vape E Liquids propose a ration of 40/60 in PG/VG - 0% in Diacetyl, 0% in Sucralose... 100% Pleasure. 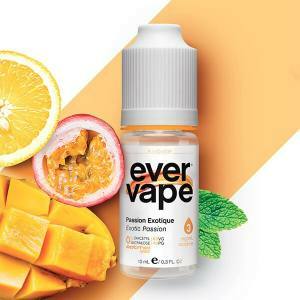 Discover Ever Vape E Liquids for the Electronic Cigarette. 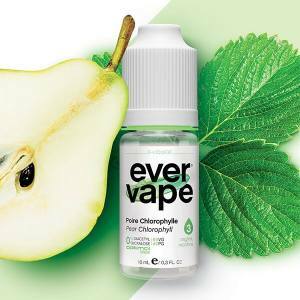 At Ever Vape, simplicity ryhmes with quality. A choice of primoridal ingredients to assure a healthy vape with products of first quality for vapers. The choice of aromas allow you to be at the heart of flavours whatever type of e-liquid. 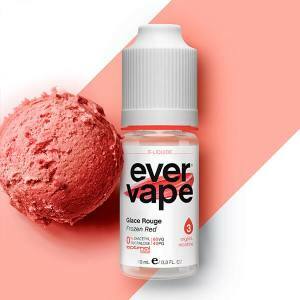 Discover the real flavours Pear Chlorophyl, Exotic Passion or the gourmet Red Ice Ever Vape. Without forgetting the amateurs of the Classic, Classic Spicy and the Mint Classic Ever Vape. 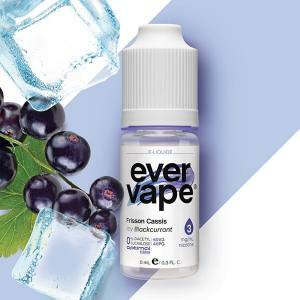 The Ever Vape E-Liquid proposes a ratio of 40/60 in PG/VG - 0% in Diacetyl, 0% in Sucralose... 100% Pleasure.